Love them or hate them, the alternate jersey introduced by the Edmonton Oil Kings this year is here to stay. The look has produced both positive and negative response from the fanbase with most opinions coming in at either end of the approval spectrum. What will be interesting over the next few years is to see how those fans react should the traditional uniform slowly fade away into history. Each season we extend a blogging invitation to a select few players entering their NHL Draft year. Frequent visitors to The Pipeline Show know the extensive list of players who have taken us up on the offer over the last half a dozen years. This year we have already been introduced to Brandon Wheat Kings goaltender Jordan Papirny and forward Tanner MacMaster of the Camrose Kodiaks. Today we get the first entry from our guest blogger playing in the Ontario Hockey League. Niagara IceDogs forward Brendan Perlini shares us his back story, one that is definitely one of the more unique paths a NHL-bound player has been on. Are you ready? After the jump, the first chapter in the 2013-14 Guest Draft Blog from a sure-fire 1st round pick, in his own words. I did not purposefully leave the best for last but it is just a coincidence that Ottawa is the final team to come up in the One To Watch series and the Sens have one of my personal favorite prospects. While they haven't become established NHL players yet, late picks like Mark Stone and Jean-Gabriel Pageau have increased their value since draft day. Others that had more hype as 18-year-olds such as Robin Lehner, Mike Zibanejad and Cody Ceci still project to be main pieces in the NHL one day so all in all, kudos to the Sens. 2012 Choice: Mark Stone - His first professional season was OK, I'd hesitate to say it was more than that because I didn't see him play with my own eyes. Judging by his stats line, 15 goals and 38 points in 54 AHL games, Stone's numbers certainly don't wow me but I don't know that big production was expected of him in year one. Last year I wondered if he might stick with the big club out of camp but Sens fans wrote in saying not to expect it and they were right. A fair bar for him to beat this year should be a full season and increased production with improved skating. My selection for One to Watch in 2013-14 will come as no surprise and it's after the jump. I think a person could make a pretty good argument that Toronto's prospect strength comes on the blueline. Perhaps the Buds would agree considering they didn't add to that particular position at the 2013 NHL Draft. Obviously Morgan Rielly leads the pack of would-be future NHL blueliners and he's proving early on this year that that future could be sooner than some expect. Stu Percy and Matt Finn are fine prospects in their own right and Jesse Blacker provides depth in the organization. I'm not selling the organization short at other positions though as there are a number of young players that I have liked through their junior careers and a few that I like even still as pros. 2012 Choice: Joe Colborne - I figured that last year was going to be the breakthrough season for the former Camrose Kodiak and Denver Pioneer. He overcame a wrist injury that hampered his productivity and confidence and it seemed to me that Colborne was an opportunity away from sticking with the big club. It didn't happen though and the Calgary native eventually found himself playing for the Flames this year and he's having a modicum of success with his third NHL organization. My pick for 2013-14 One to Watch with the Leafs comes after the jump. Excellent drafting has helped Montreal stay competitive in a tough division for most of the last few years. Sure they have had their lottery pick year but for the most part the Habs are picking in the second half of the first round. Now the organization is reaping the benefits of that drafting as their last 4 1st round picks are all contributing at the NHL level and deeper picks are finding their way too. Jarred Tinordi, Alex Galchenyuk, Louis Leblanc and Nathan Beaulieu are the high picks panning out but Brendan Gallagher has had as big of an impact as any of them and he was a 5th round swing for the fence. 2012 Pick: Mike Cichy - Montreal fans were all over me for singling out the mostly forgotten collegian but it was his decent into relative obscurity that intrigued me. It was his first season playing with Western Michigan after beginning his college career at North Dakota but leaving after his sophomore year. Unfortunately it was a pretty vanilla campaign with the Broncos, 4 goals and 18 points. I believe it's safe to say that unless he has a massive year at WMU this season, Cichy won't be offered a deal in the spring of 2014. My pick for One to Watch this year for Habs prospects comes after the jump. Hockey's Future currently ranks San Jose in the bottom third for prospect depth but I have a feeling the Sharks are laughing about that these days. Tomas Hertl leads the NHL in rookie scoring right now and Matt Nieto is also having a productive first year in the NHL. The HF write up is right though when the subject of depth comes up; there isn't much in the Sharks' system. Freddie Hamilton, Sean Kuraly and Rylan Schwartz lead the short list of notables. And then there's the players they took in the 1st round this past June. 2012 Choice: Sean Kuraly - The freshman had a decent year at Miami although his 12 points was dwarfed by fellow rookie Riley Barber's 39. Already this year Kuraly has 6 points although the RedHawks are only 4 games into the campaign. The former Indiana Ice forward was a dangerous offensive weapon in this final year in that league. My selection as One To Watch for San Jose this year comes after the jump. The bad news for the Buffalo Sabres is that they have a single win in the first ten games of the year and look far from a playoff caliber team. The good news is that this may be a temporary thing as the club has the means to kick off a serious rebuild and quality youth is already on the way. Already this year the Sabres have dressed 6 rookies including defenceman Nikita Zadorov who has played just once. Rounding out that group are Zemgus Girgensons, Mikhail Grigorenko, Johan Larsson, Rasmus Ristolainen and the guy who was featured in this write up a year ago. 2012 Choice: Mark Pysyk - They don't get much more humble or likeable than defenceman Mark Pysyk who I've had the good fortune to get to know over the last 6 years in Edmonton. He made his professional debut last year and played 19 games with the Sabres last year at the end of the shortened season. Pysyk joined me in studio for an hour this past summer and told me that he didn't necessarily expect to make the team out of camp this year but a month in and he's played on the top pairing with veteran Christian Ehrhoff. My selection as One To Watch for Buffalo this year comes after the jump. Last month we were introduced to Brandon Wheat Kings goaltender Jordan Papirny. He introduced himself to us with the first chapter of his 2014 Draft Blog which he's agreed to share with us and our audience over the course of this season. If you missed Part I you can find it HERE. And now here is a quick follow up from Jordan Papirny. It probably surprised a lot of people when the Lighting sent 1st round pick Jonathan Drouin back to junior a few weeks ago. I think that it's a positive reflection of where the franchise is though, that a young player as uber-talented as he is, even Drouin couldn't crack this year's roster. That's a good thing. It's equally encouraging to see the roster and note a few players who have worked their way into the NHL through the team's AHL development system; another sign that the organization is doing things the right way. Alex Killorn, Tyler Johnson, Ondrej Palat, Richard Panik and Radko Gudas are prime examples of that type of success. 2012 Choice: Nikita Kucherov - The talented Russian had a strong season in the QMJHL after overcoming an injury and a trade from the Quebec Remparts to Rouyn-Noranda. It was then pretty poetic that Kucherov's 6-point night eliminated Patrick Roy's Remparts from the playoffs. This year Kucherov is on the farm in Syrachuse and already producing at well over a point per game pace. My 2013-14 selection as One To Watch for Tampa Bay comes after the jump. The awful start to the season in Philly is enough for some Flyers fans to start looking closely at the depth of the organization to see if help is on the way. Fortunately there are some interesting players in the system but even the most staunch Flyers supporter would admit the prospect pool isn't as deep in Philadelphia as it is for most NHL teams. Rookie Nick Cousins is off to an impressive start on the farm with the Adirondack Phantoms. Ty McGinn and Michael Raffl have already been recalled to the big club. Plus, you could make a pretty good argument that Philly's top prospects are still in junior and college. 2012 Choice: Anthony Stolarz - I thought last year was an interesting one for Stolarz as he moved from the NAHL to the NCAA. Then things got even more intriguing; Midway through the year the big goalie left Nebraska-Omaha for the London Knights of the OHL and ended up playing well into May as the club reached the Memorial Cup. This year the team hosts the tournament so Stolarz will be getting a done of action once again. My selection as One To Watch for Philadelphia in 2013-14 comes after the jump. A new chapter has begun in Columbus with a new-ish President, a new GM and new expectations after getting so close to making the playoffs last season. John Davidson and Jarmo Kekalainen have a history of taking a struggling team and turning them around and the Blue Jackets have shown vast improvements over the last two years. Some of the depth of the organization has to be credited to former GM Scott Howson and his staff; Under Howson's watch the club drafted names like Boone Jenner, Oscar Dansk, Ryan Johansen, Matt Calvert and John Moore. 2012 Choice: Oscar Dansk - It wasn't the season that the Swedish goalie nor the Erie Otters were hoping for as Dansk was pretty average in his rookie OHL campaign. His team finished dead last in the Western Conference but this year both Dansk and the Otters are on the rebound. My selection for One To Watch in 2013-14 comes after the jump. It's become an annual tradition; guest blogs written by a handful of draft eligible players who share their experiences throughout the key season. Some of the names of players who we have recruited and agreed to give us their time in the past include 1st round selections like Mark Pysyk, Jordan Eberle, Joe Colborne, Curtis Lazar, John Moore, Michael Matheson and Brett Connolly. Last month we heard from Jordan Papirny, goaltender of the Brandon Wheat Kings who was the first member of the 2014 Draft Class to submit a blog entry. Today it's Tanner MacMaster's turn, the top ranked player from the Alberta Junior Hockey League. The Calgary native was heard from recently on The Pipeline Show during the 2013 AJHL Showcase event. You can listen to that interview in its entirety here. After the jump, the first blog entry this season from Tanner MacMaster of the Camrose Kodiaks. The good news is you've been drafted by an original six team with legendary alumni, a ton of history and recent success as well. The bad news is that you somehow have to crack the roster of a club that has been to the Stanley Cup finals twice in the last three years. It's not impossible for a young player to do just that; Tyler Seguin, Brad Marchand and Dougie Hamilton are three examples of players that managed to do it but only undrafted Torey Krug managed to do it out of camp this year and he had last year's playoff performance to help his cause. Guys like Carter Camper, Ryan Spooner and Matt Bartkowski have seen spot duty with the Bruins but arguably would have played more had they been in another organization. It's a good problem to have though. 2012 Choice: Carter Camper - The college standout appeared in 3 games for the Bruins the year previous and I wondered if he'd force his way into more NHL action last year. That didn't happen; he played 57 games in Providence instead, compiling nearly a point per game in that time. Camper is undersized but his numbers at Miami are pretty impressive with 183 points in 156 games. It just might be a case of a guy needing a better opportunity with a thinner organization. My selection as One To Watch for the Bruins comes after the jump. The new-look Stars have a couple of rookies on their roster who the club can expect a decent amount of production from this year. Both Alex Chiasson and Valeri Nichushkin made the opening night roster and although the Russian has yet to hit the score sheet, the former Boston University Terrier has two goals in as many games. Nichushkin is the first Dallas 1st round pick to step right onto the roster since 1983 when Brian Lawton went from high school in Rhode Island to the Minnesota North Stars the next year. Pretty amazing when you think about it. 2012 Choice: Reilly Smith - The Ohio RedHawk split the shortened year between the NHL and AHL because of the lockout. He got into 37 games with Dallas and managed a modest 9 points as a rookie. This past summer he was packaged with Loui Eriksson, Matt Fraser and Joe Morrow and sent to Boston in the deal that landed Tyler Seguin, Rich Peverley and prospect Ryan Button. My selection as One To Watch for Dallas in 2013-14 comes up after the jump. I don't think I would suggest Winnipeg has the best crop of prospects but they might have my favourite group of young players. That opinion is largely influenced because of the number of WHL veterans the Jets have drafted and therefore, the number I have seen and dealt with the most. I really like the drafting by the Jets the last few years even though I wasn't sure they picked the best player available when they took Mark Scheifele, even that selection is panning out well. 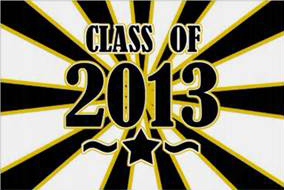 Eric Comrie, Josh Morrissey, Brendan Kichton, Nic Petan, Jimmy Lodge, JC Lipon - and that's just the class of 2013! Add to that mix Jacob Trouba, Scott Kosmachuk, Juho Olkinuora... there is a ton of talent in the system. 2012 Choice: Jacob Trouba - Anyone who has heard The Pipeline Show probably knows I'm a massive Trouba booster. I said it before the 2012 draft that he was my top D-man of the class and I hold to that now. I thought he was terrific at the 2012 WJC in Edmonton as an underage player but he was on a completely different level in Russia last year. At Michigan he nearly led the team in scoring as a freshman and this year with the Jets he's already playing nearly 22 minutes a night. S-T-U-D.
My selection for One To Watch for 2013-14 with the Jets comes after the jump. Another club with a lot of prospect depth is Florida who has chosen to add veterans to the roster meaning much of their youth will continue to develop in the minors. Recent additions of Tim Thomas, Scott Gomez, Brad Boyes, Ryan Whitney and Tom Gilbert mean the likes of Jacob Markstrom, Nick Bjugstad, Quinton Howden and Alex Petrovic won't be as much of a factor this year as expected just a month ago. Tough break for those young players but down the road they may be the biggest beneficiaries of those signings. 2012 Choice: Rocco Grimaldi - Injured seriously and early in his freshman season, Grimaldi was given a do over and made good on it last year with North Dakota. His 36 points in 40 games was bested only by a pair of seniors so Grimaldi's year has to be considered a major one offensively. He was part of USA's gold medal at the 2013 WJC in Russia going from scape goat to hero over the course of the 10-day event. Grimaldi is poised to have a massive year as a sophomore at North Dakota. My 2013-14 selection as One To Watch for Florida comes after the jump. Few teams have the prospects depth that the Oilers currently do and expectations are high that the club will eventually climb its way out of the NHL basement and back to contention. I had a number of valid players to pick from for this piece as a few prospects have be assigned to Oklahoma City for the first time so all of them have peaked my interest. How will players like Oscar Klefbom, Martin Gernat, David Musil and Travis Ewanyk perform as AHL rookies? Then there are the guys that fans want to see take major steps forward this year like Anton Lander, Tyler Pitlick, Ryan Martindale and Brandon Davidson. Will goaltending improve or become an issue? But there are also a number of interesting prospects still playing in junior or college worth following as well and I chose one of those guys today. 2012 Choice: Dillon Simpson - Another strong season of growth and development at North Dakota for the local product. Simpson picked up 24 points in 42 games and he's not really expected to be an offensive guy moving forward. This year will be his final season at North Dakota and he's also been given the honor of being named captain of the club. As a senior at the age of 21 (not until February! ), Simpson is barely older than some of the freshman coming in this year. My selection as One to Watch for the Oilers this year comes after the jump. It could be quite a while before they are celebrating a Stanley Cup championship in the Music City but that's not to suggest that Nashville is without promising prospects. Beyond rookies Seth Jones and Filip Forsberg, there are a number of players who peak my interest and should have meaningful NHL careers. 2012 Choice: Brendan Leipsic - What a year for the undersized forward from Winnipeg. His 120-point campaign was equaled only by his linemate as the pair led the entire Canadian Hockey League in scoring. Leipsic is a star at the junior level but the jury is out on whether he'll have the same level of success as a pro. I'm more interested to know what he does this season for an encore; can he lead the CHL in scoring again? Will he force his way onto the Canadian roster for the 2014 WJC in Sweden? Neither will be easy but he's already set the bar high for himself. My pick as One To Watch for Nashville this year comes up after the jump. The once 'Mighty' Ducks of Anaheim will be once again if their impressive pool of prospects reach a modicum of their potential. Depth at all positions should help the Ducks return to the top of their division and keep them up there for the long run. John Gibson in net. Shea Theodore, Hampus Lindholm and Sami Vatanen for the blue line. The likes of Nic Kerdiles, Devante Smith-Pelly, Antoine Laganiere, Rickard Rackell, Kevin Roy and Peter Holland are all poised to contribute at the top level over the next few years. And so is this year's pick for this series. 2012 Choice: Nic Kerdiles - What a year it was for the power forward. A ridiculous ruling by the NCAA threatened Kerdiles college career until a season suspension was reduced to about a month. If not for that, we'd be talking about Kerdiles the Kelowna Rocket instead of the Wisconsin Badger who helped turn the program around after he was allowed to start playing. My choice as One To Watch for the Anaheim Ducks comes after the jump. The Desert Dogs have several interesting prospects in their system thanks to solid drafting over the last number of years. The organization has shown patience with them; even when a guy like Oliver Ekman-Larsson comes along, an AHL stint isn't out of the ordinary. That said, high draft picks like Mark Visentin, Brandon Gormley and Ethan Werek are taking longer than some expected. Meanwhile, Lucas Lessio and Michael Stone start the year with the big club. 2012 Choice: Henrik Samuelsson - Quite frankly, Samuelsson could have been my pick again for this year because he's heading into a very telling season. Last year he evolved into one of the true power forwards in the WHL that could hurt you physically or on the score board. I wasn't sure if he'd be back from Phoenix right away this year but was returned by the Coyotes shockingly early. He's off to a good start in what will be his final WHL season. My 2013-14 selection as One to Watch for Phoneix is after the jump. It's just a personal opinion but I wonder about the Hurricanes, specifically in regard to drafting and player development. Sure they have their hits but it feels to me, and I could be wrong, that they have more than their fair share of misses too. And again, I think drafting and player development are two completely and separate issues but if one lacks, the other will rarely yield positive results. The selection of Jeff Skinner deserves a lot of praise but having stepped right into the NHL from Kitchener, the 'Canes can't take credit for developing him to being NHL ready. It's a similar picture with Justin Faulk who appeared in all of 50 AHL games. Whereas guys like Zac Dalpe, Riley Nash, Zach Boychuk and Drayson Bowmen were that have, so far, failed to reach expectations placed on them. 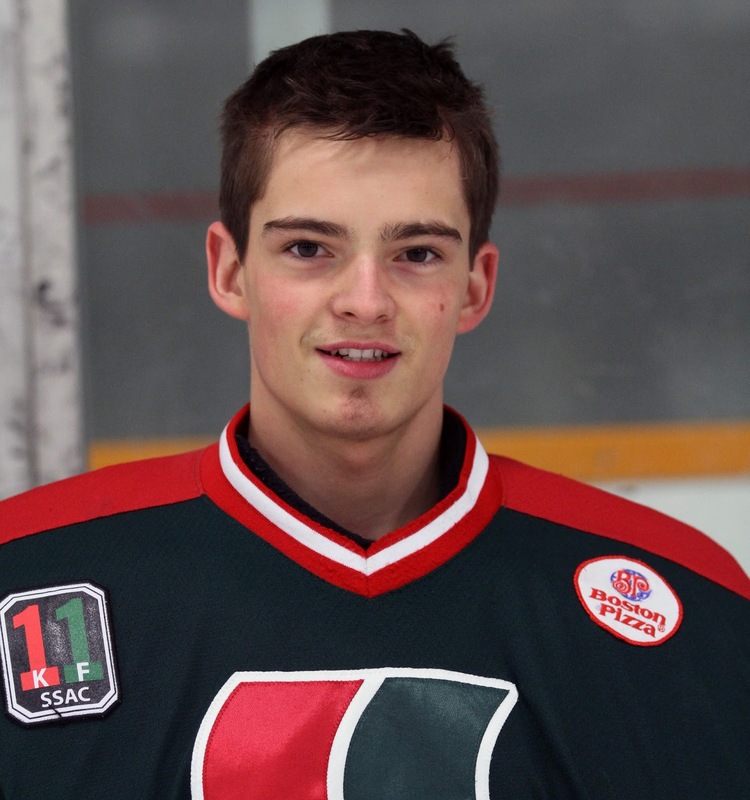 2012 Choice: Keegan Lowe - The Edmonton Oil King blueliner took a massive step forward in his development in 2012-13. The years prior he was often partnered with Mark Pysyk and it provided Lowe with a safety net to take risks which often got him in trouble, but not the team thanks to his partner. My question going in to last year was how Lowe would survive without Pysyk covering for him. The results were impressive and somewhat surprising. Lowe elevated his play dramatically, arguably becoming the teams most reliable blueliner. He took on the mantle of leader despite not wearing the 'C' and his production jumped from 3 goals to 15, his points from 23 to 31. My 2013-14 pick as One To Watch for Carolina comes after the jump. No longer a laughing stock but still earning respect, the New York Islanders have built a pretty decent stable of young players after years of less than mediocre results at the NHL level. The Islanders have prospects on the way at every position so the pieces are there for the once floundering organization to finally right the ship for the long haul. GM Garth Snow, a goaltender in his NHL days, selected a pair of NCAA netminders in June - one coming off a fantastic freshman season, the other hoping to make his own mark in college this coming year as a rookie. Stephon Williams was terrific for Minnesota State and Eamon McAdam could become Penn State's starter as the program moves to the Big 10 conference. Forwards in the system include Brock Nelson, Ryan Strome, Taylor Cammarata and Kirill Kabanov. But with the amount of blueliners the Islanders have drafted over the last four years, my pick today shouldn't come as any surprise. 2012 Choice: Scott Mayfield - The big defenceman had just completed his freshman year at Denver and I wanted to know what steps forward his development would take as a sophomore. This year may prove even more interesting for Mayfield after turning pro last spring. This year Mayfield will play in Bridgeport and hope to adapt quickly as the organization is flush with defencemen on the way. My selection for Islanders prospect of 2013-14 to be One To Watch comes after the jump. We talk a lot about NHL rookies on The Pipeline Show but in Colorado, the guy behind the bench this year is a pretty intriguing freshman. Patrick Roy is the rare coach who was a superstar player who spent time in junior hockey preparing for his return to the NHL. After 8 seasons with the Quebec Remparts, Roy feels he's finally ready to take on the head coach job in Colorado and that is going to make for interesting discussions all year. But the One To Watch series doesn't talk about coaches, it's looking at a young guy on the ice coming up the system and the Avalanche certainly have some interesting players on the way. 2012 Choice: Mike Connolly - A very disappointing season for a guy I admittedly held high hopes for. The former Camrose and Duluth standout had a very impressive season as a rookie pro in 2011-12, mostly in San Jose's system but Connolly fell far from that success last year. There was an injury to start the year and by the end of it he'd managed just 9 goals and 23 points in 65 AHL games. This year Connolly is playing in Germany. My 2013-14 choice as One To Watch for Colorado comes after the jump. The Canucks are still considered one of the contending teams in the Western conference but for the first time in a few years there appears to be talented youth on the way. Camp has seen solid performances from recent draftees and it's compelling to see how many, if any, of the prospects at camp earn a spot with the big club. 2012 Choice: Joe Cannata - The former Merrimack standout played sparingly in the AHL and ECHL last season and received a late season recall to sit on the bench while Cory Schneider was injured. Cannata posted decent numbers in AHL Chicago and oddly enough, pretty forgettable ones with ECHL Kalamazoo. He should see a lot more starting time this year. My 2013-14 One to Watch for Vancouver comes after the jump. We had our massive WHL Preview show a couple of weeks ago with both Dean Millard and I joined in studio by a couple league broadcasters and on the phone by a third plus a media man in Seattle. Corey Graham or the Oil Kings and Red Deer Rebels voice Cam Moon were kind enough to sit in with us. Then we also spoke with Kamloops Blazers broadcaster Jon Keen and ESPN 710 Seattle's Andy Eide. I'll refer you to that show, the archive is RIGHT HERE, as I will not be going as in-depth here in the blog but using this as more of a summary to what we discussed that night. After the jump, my predictions for the East conference and the two teams I'm looking at for the conference finals. Plus, having posted my Western conference predictions earlier, I'll also include my WHL Championship final and who I'm selecting as the WHL representative at the 2014 Memorial Cup in London, ON. After the jump, my predictions for the West conference and the two teams I'm looking at for the conference finals. The recent Stanley Cup champions have built their team around size and skill and added to both of those categories at the 2013 NHL Draft. New additions like 40-goal man Valentin Zykov and 6'7 winger Justin Auger fit the bill not to mention CHL Goaltender of the Year Patrik Bartosak. L.A.'s NHL depth allows the team the luxury of bringing along their prospects slowly and that's paid off for guys like Slava Voynov, Jake Muzzin, Trevor Lewis, Dwight King and Jordan Nolan. That's good news for guys that are still biding their time on the farm. 2012 Choice: Martin Jones - The former Calgary Hitmen goalie wasn't drafted but signed after an impressive camp invite. Heading into last year it was feasible that with so many Jonathan Bernier trade rumors going around, a NHL appearance might be in Jones' near future. That didn't happen but he did manage to have arguably his best professional season. He played 56 regular season games and held a 2.53 GAA and 9.19 SV%. My Los Angeles prospect pick for One To Watch in 2013-14 comes after the jump. The Capitals only had one rookie contribute much at the NHL level last season and that was 25 games from defenceman Tomas Kundratek. The former Medicine Hat Tiger was originally drafted by the New York Rangers but has worn a Caps jersey for all 30 NHL games that he has appeared in. Yevgeni Kuznetsov is the top prospect for the Washington Capitals but he's spending another season in the KHL before coming over to this side of the Atlantic. There are a number of other quality guys in the system, Tom Wilson and Madison Bowey immediately come to mind, but the franchise isn't as deep as it was a decade ago. That's probably a good thing because it should mean that there is more NHL success so they are drafting later than they had been. 2012 Choice: Braden Holtby - The former Saskatoon Blades keeper established himself as the new starter for the Caps with a strong lockout shortened season. His 23 wins were one off the league high although he managed the total playing far fewer games than the trio of goalies with 24 wins. Holtby is still young but a strong start to the year would make him a viable consideration for the 2014 Canadian Olympic team. My 2013-14 One To Watch pick for the Capitals comes after the jump. Solid drafting and patient player development have been keys to the success of the St. Louis Blues in recent years. The team spent its fair share of time at the lower end of the standings but made the most of the down years. The Blues drafted in the top half of the first round four times in five years from 2006-2010 and still have those players on their roster, or the players they received for them via trades. Despite picking much later these days, the Blues have still done very well at the draft with a number of their prospects trending upwards. 2012 Choice: Max Gardiner - I thought Gardiner was an interesting player in an even more interesting situation. The former Golden Gopher was back in the NCAA but with a different program, and a new one at that in Penn State. Gardiner had a good year collecting 21 points in 23 games but only managed 3 goals. I'm guessing more was expected and if so, more will be counted on as he begins his junior season with the Nittany Lions. My 2013-14 choice for One To Watch with the Blues comes after the jump. It's definitely a new era in Southern Alberta as a number of fan favorite veterans have moved on, Brian Burke has joined the organization and the team has embraced a rebuilding mentality. With that comes a number of young prospects and new faces to the team and a level of uncertainty. But just because these new players aren't proven doesn't mean they can't get the job done. For the first time in a number of years, the Flames have a number of young prospects in the system for fans to be excited about. Perhaps the rebuild won't take as long as it has for other franchises in different cities. 2012 Choice: Laurent Brossoit - The Edmonton Oil Kings netminder began last season trying to erase the memories of a sub-par Memorial Cup and summer U20 camp performance. For the most part, Brossoit had a very successful year although he was overlooked for Canada's entry at the 2013 World Junior Championship in Russia. The goaltender posted career best numbers with a 2.25 GAA and .917 sv% and was even better in the playoffs. My 2013 selection for One To Watch for the Flames comes after the jump. An intriguing mix of seasoned vets, actual superstars and a smattering of talented youth on the way. The Minnesota Wild should be a team to consider a threat in the very near future although I'm not sure if that's reasonable to say about this season. Mikael Granlund, Charlie Coyle and Jonas Brodin are just the tip of the prospect iceberg that Wild fans enjoyed watching last year. There are a number of guys still in college or junior who could impact the NHL roster in the near future including Mario Lucia, Zack Phillips, Tyler Graovac, Adam Gilmour, Carson Soucy and Darcy Kuemper. Of course there is a defenceman on the way as well, more on him in a second. 2013 Choice: Charlie Coyle - Anyone who knows me knows that I am a fan of Coyle's. My question leading into last season was whether he would be able to produce offensively as a pro. That answer came in the form of 25 AHL points in 47 games and 14 more in 37 NHL contests. My selection for One To Watch with the Wild for 2013-14 comes after the jump. "Beau Bennett and a bunch of defencemen". That's how I heard one analyst describe the depth of the Pittsburgh Penguins prospect system recently. While I think that's forgetting Teddy Blueger and some interesting goalies, the statement does hold up for the most part. The blueline appears to be solidified for the Penguins for the foreseeable future. Oli Maata, Brian Dumoulin, Simon Despres, Scott Harrington, Harrison Ruopp, Derrick Pouliot... the list is a lengthy one. Oddly enough, it's not a defender I'm going to focus on today. 2012 Choice: Joe Morrow - The former Portland Winterhawk was a 1st round pick by Pittsburgh in 2011 but the Pens shipped him to Dallas in order to acquire Brendan Morrow at the deadline. At the draft in June, the Stars flipped him to Boston. I spoke at length with Morrow about last season and he was very candid about it all. Despite being part of his third organization in less than 6 months, Morrow is still a high quality prospect. My One To Watch for Pittsburgh in 2013-14 is after the jump. 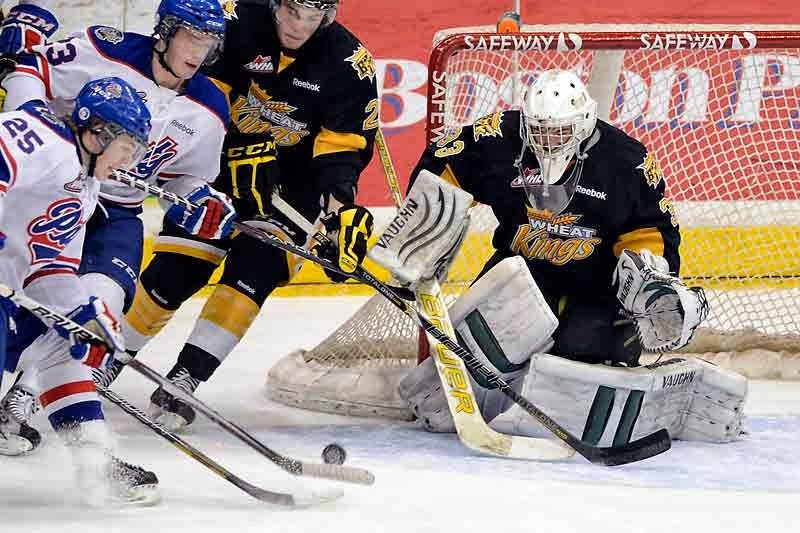 This year's first entry come from a goaltender of note from the WHL, Jordan Papirny of the Brandon Wheat Kings. Papirny was a recent guest on the show as part of our IN STUDIO summer series and after meeting him I was compelled to ask if he'd like to take on this project over the season. After the jump, the first chapter in the season-long blog written by Brandon netminder Jordan Papirny. From the outside looking in, it feels like New Jersey is midway through a era change. New ownership, the eventual end of Martin Brodeur's fantastic career, the NHL retirement of Ilya Kovalchuk... Only Lou Lamoriello seems like the only constant in New Jersey. I still don't agree with the team's decision to use the 2012 1st round pick, 29th overall, knowing they had to forfeit a 1st rounder by 2014. It's not hindsight to suggest it was clear the odds were against the Devils ever picking later than that. Plus, it's not like Stefan Matteau is worth more than the pick they will now be forced to give up in 2014 as a result. I don't get it but perhaps someone will fill me in on why that isn't horrible asset management. 2012 Choice: Jon Merrill - The defenceman was looking to put 2011-12 behind him but faced a new challenge; injury. Merrill's season didn't begin until January thanks to a cracked vertebrae. Once he got back in action at Michigan he helped stabilize the club which had struggled mightily for most of the year. Merrill finished the year in the AHL with Albany and had 8 points in 12 games. My New Jersey choice for One To Watch in 2013-14 is after the jump. A new conference and new, lower expectations are a couple of storylines for the Detroit Red Wings these days. No one is picking the Wings as Stanley Cup contenders anymore. In fact, there are some who wonder if a playoff spot might be in question and that seems odd attached to an organization that has been at the top for so long. One thing that does remain consistent in Motown is the courage to draft players other teams get cold feet on. While some questioned his hockey sense, Detroit looked at Anthony Mantha and saw 50 goals. Mitch Wheaton missed much of the season but the Wings take the chance on a 6'5, 230 lb blueliner. It's not the first year; A concussed Martin Frk in 2012. The penalty and suspension magnet named Mike McKee. Injury plagued Marek Tvrdon and Landon Ferraro. The Red Wings are willing to look past junior level "flaws" and focus on the underlying positives that can be polished and developed as a pro. 2012 Choice: Ryan Sproul - The talk after the 2012 draft was that had there been another month or two in the regular season, Sproul may have been a first rounder. Last year I asked if the defenceman could live up to those expectations and take a larger than normal step forward in his development. He ended the year with 66 points in 50 games and was named the CHL Defenceman of the Year. My choice for Detroit's One to Watch in 2013-14 is after the jump. You have to respect an organization that just keeps turning prospects into players year after year. Chicago is one of them. The most recent example is Brandon Saad, a player that slipped out of the first round in 2011 and right into their lap; a year later he's in the NHL. This past June was another example of the Hawks selecting highly regarded players that, for some reason, were available later than expected but didn't slide past Chicago. John Hayden, Ryan Hartman and Tyler Motte come to mind. 2012 Choice: Kyle Beach - The former 1st round pick had fallen on hard time due to injury. I wondered if Beach could stay healthy and return to his offensively productive power forward role that he played as an AHL rookie. While his 26 points in 66 games won't excite anyone, he did score 16 times and recorded 204 PIMs and that's still a rare combination that Beach brings to the table. My Chicago pick for One To Watch in 2013 is after the jump. The New York Rangers had a pair of rookie skaters play their way to the NHL last year in forwards J.T. Miller and Chris Kreider. The 2013 draft wasn't a banner day as the club didn't have a selection until the 3rd round. Still, there are a number of intriguing prospects in the system for the Rangers but one in particular is coming to what could be a telling year. 2012 Choice: Michael St. Croix - The Edmonton Oil Kings leading scorer compiled 92 points including 37 goals. Both his goal and point total were down from the previous season when the team went on to capture the WHL championship. St. Croix had a good, not great year, which didn't help answer my question last summer; is he a NHL prospect or a career minor leaguer? At this point I lean towards the latter. My pick for One to Watch in 2013 after the jump. Last week all of the on air personalities at the TEAM 1260 were asked to put together mock drafts for the station's website. You can find those HERE. There are a lot of varying opinions on where players will go this year which makes for an exciting draft day and I hope you'll join Taylor Medak, Marc Majeau and I for our coverage of the event on Sunday. We'll kick things off at 12:30 pm MST and we've got the clearance to go as long as you the listener want us to. We'll take you through all the picks, talk with media folk on location in New Jersey and we want to hear your feedback on what your favorite team does too. But you came here to see my mock draft so time to get to it. It's the same as I put together last week with more detail and one exception which you'll see early on, feel free to compare the two for yourself. Also notice that the only TEAM 1260 guys brave (dumb?) enough to pick a complete top 30 were Lowetide and I. Last note: This is a mock and NOT my own personal top 30. The difference would be that aside from Sasha Barkov and Rasmus Ristolainen, I'd be content letting other teams draft the Europeans high and I'd stick to North Americans. Why? The draft is a crapshoot already and, in my personal opinion, I'd want to remove as much potential risk as possible. Europeans are more likely to balk at AHL time, not all but some and that's a variable worth considering, because they can play professionally closer to home where they are more comfortable and probably make more money doing so. I would do the same if I were in their shoes so it's not a criticism of their character, but it's a potential hurdle, a headache that is easily avoided. I don't draft a Euro early unless I am confident that he can contribute to my NHL roster right away - like Barkov and Ristolainen. Not Nichushkin, not Lindholm, not Zadorov, Not Zykov and not Wennberg. Good players all of them but I'm OK with someone else taking them because that means a good North American is still there for me to take. Our season of guest player blogs is nearing its end. Curtis Lazar wrapped his series of entries up last week and now it's time for Eamon McAdam to do the same. We've had a lot of players blog with us over the years but for whatever reason, we haven't had a lot of goaltenders. Mike Lee (PHX) in 2009 is the only one that immediately comes to mind. Maybe that had something to with how great it was to have Eamon McAdam on board with us all year, having the goalie perspective is often unique. We've gotten to know Lazar quite well because he plays right in our own back yard. With Eamon, it's different but through his entries this year and in private correspondence it's easy to tell that he's a guy with a high level of character. It's been a pleasure to read his four previous submissions to the blog and I'm sure this last one will be just as interesting. 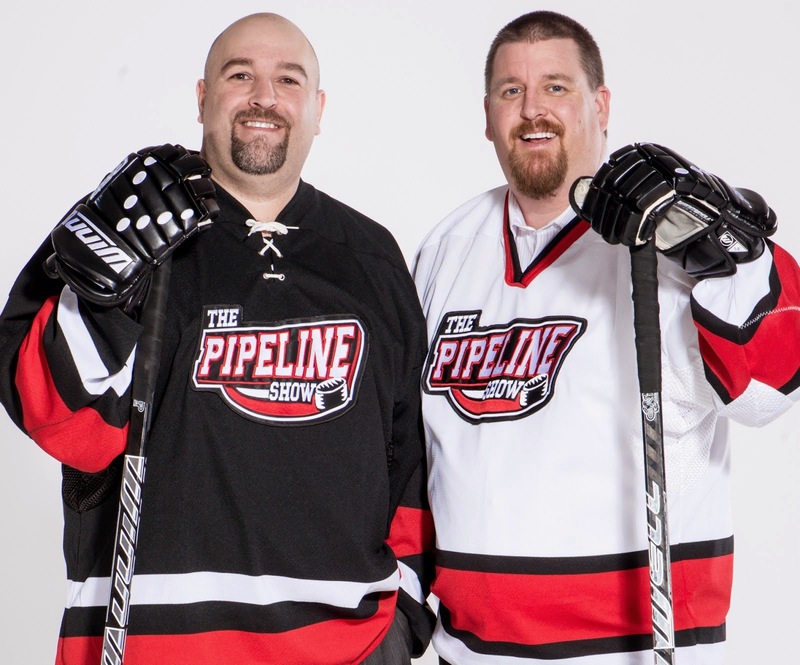 On a side note, both Curtis and Eamon will join us on The Pipeline Show one last time before the draft, this coming Saturday June 22nd 10am-Noon MST (Noon-2pm EST). Last week I summarized all the draft related interviews we've done on The Pipeline Show during the first half of Season 8. If you missed it, you can find that post, and all the interviews that are linked within it, by clicking HERE. Today I'm tackling the second half of Season 8, what we refer to in our media archive as Season 8.5, which includes the months of January-June. Once again it's the players we speak with on just about every edition of the show in the Draft Spotlight segment. But we also speak with scouts, coaches and have the regular feature segments like the ISS Draft Countdown and The School of Block as well. There are a few things that make The Pipeline Show a unique radio program for hockey fans. One is that we focus almost exclusively on levels of hockey below the NHL. Another is that, while based in Edmonton, we spend a significant time on leagues outside of our immediate market including the OHL and QMJHL. We're still, as far as we know, the only hockey radio show in Canada with a regular NCAA segment and we might cover the USHL more than anyone on either side of the border. Another thing we pride ourselves on is the draft. On just about every episode of TPS we're profiling a player eligible for the next NHL draft. And by 'profiling' I don't mean simply talking about a guy, we have that player on the show so listeners can hear from him directly. While the vast majority of hockey media is gearing up for the draft now, we do it all year long. This year our Draft Spotlight segment has featured no fewer than 65 players. When you add in our bi-weekly segments, the ISS Draft Countdown with ISS head scout Ross MacLean and The School of Block with Justin Goldman of The Goalie Guild, we've discussed well over 100 draft eligible prospects this season. We recognize that not all hockey fans are prospect crazy like we are but as the draft gets closer, interest in the players we always speak with goes up dramatically. With that in mind, over the next few days I'm going to post links to all the pertinent interview segments we've done over the last 11 months so that new listeners to The Pipeline Show can find them all in one place. The batch of interviews from August-December of 2012 follows after the jump. We have had the good fortune this season to have Edmonton Oil Kings forward Curtis Lazar blogging for us. Every two or three months he has summed up chunks of the year to let fans behind the curtain a bit and get a sense of what it's like for him in such a key year of his career. The first entry from Edmonton Oil Kings forward Curtis Lazar came to us back in September. If you missed it you can find it HERE. Chapter 2 included his experiences in the early part of the 2012-13 WHL season and the Subway Super Series. Part 2 is available HERE. Part 3 came out in early February and captured the CHL Top Prospects game and the mid point of the schedule. Read that entry HERE. Today Curtis has submitted his final installment of his blog series with us. Lazar revisits the WHL playoffs and takes us through the recent NHL Combine. Just a personal note to thank Curtis for agreeing to do this with us this year and following through for the course of the entire season. For those that don't have the ability to watch him on a regular basis or to get to know him over the last two seasons like we have, we can only impress upon you the high character level this young man possesses. He's a top talent on the ice and an even higher caliber person off of it. The Pipeline Show wishes Curtis the best of luck at the draft and beyond. Each season The Pipeline Show likes to ask a handful of draft eligible players if they would like to share their experiences during the big year with hockey fans around the world. Since 2008 our roster of guest player bloggers have included the likes of Jordan Eberle, Joe Colborne, John Moore, Ethan Werek, Travis Ewanyk, Brendan Gaunce, Andreas Athanasiou, Mark Pysyk, Brett Connolly, Mike Lee, Dylan Willick, Cody Ceci, Mike Mathseon and Ryan Murray. This year we have had terrific participation from both forward Curtis Lazar and goaltender Eamon McAdam. 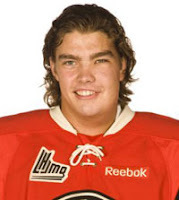 Today we're happy to add a third name to the 2013 list in Quebec Remparts forward Kurt Etchegary. 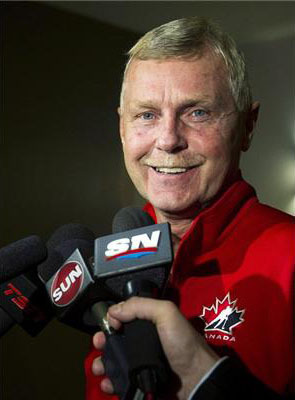 Rumored over the last couple of days, it's now confirmed that Hockey Canada has cut ties with head scout Kevin Prendergast and goalie coach Ron Tugnutt. Prendergast was hired in September of 2010 and oversaw the U18 and U20 teams and worked with the U17 program as well. How did they do? We'll check the record after the jump. The Pipeline Show's annual series of blogs written by draft eligible players continues again with another chapter from one of the key goaltenders available in the Class of 2013. The first chapter of Eamon McAdam's blog series this season arrived back on October 7th. Part 2 was posted at the tail end of November after striking gold at the 2012 World Junior A Challenge in Nova Scotia which you can read about HERE. Part 3, which recapped the months around the USHL Top Prospects Game, came out on February 8th. The Pipeline Show is pleased to be able to present the fourth blog entry from Waterloo Black Hawks goaltender Eamon McAdam. 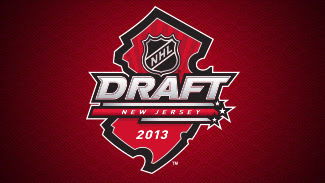 International Scouting Services (ISS) has released their May rankings for the 2013 NHL Draft. Head scout Ross MacLean can be heard every second Saturday on The Pipeline Show in our regular and ongoing ISS Draft Countdown segment. Ross spotlights five different members of the Class of 2013 and offers listeners his opinion on why a player should or should not be considered strongly for the draft next June. The Portland Winterhawks have been the the WHL final 3 straight years, but they haven't been in the position they're in now. The regular season champions can finally hoist the Ed Chynoweth Cup with a win on Friday after escaping Rexall Place with a 2-1 win Wednesday night. 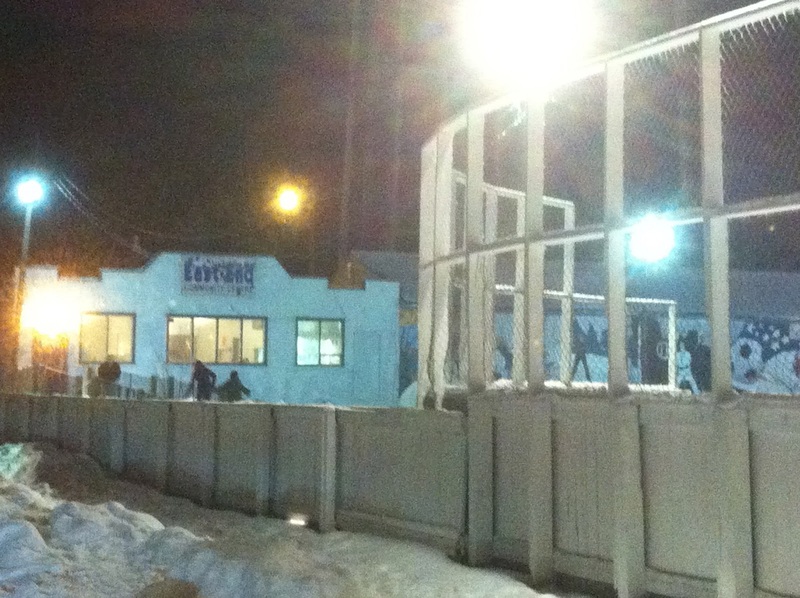 I'll be honest for me the best hockey province is Manitoba, but that's because I'm was born and raised in Brandon, learned to skate on the ice of the East End Community Centre and used to play in a barn during a Christmas coaches tournament every year. But having lived in Alberta for more then 10 years, it's hard not to think that this is the best province for producing players when you consider the population. If that was ever in doubt, today's WHL bantam draft cleared that up. Each year we try and put together some kind of list regarding the first round of the WHL bantam draft. In past year's we've been able to get some in depth information about different players and have various lists. However the WHL Bantam draft is now big business, much like the NHL draft and it's getting harder and harder to convince scouts to share this precious information. We were however able to compile a top 22 list, so enjoy!! !